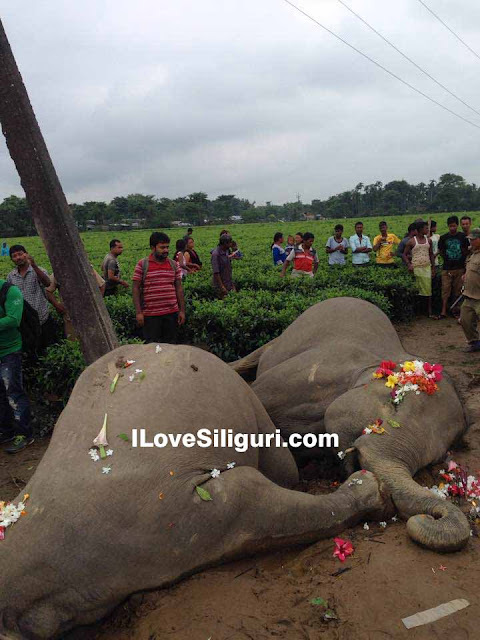 Two female elephants got killed at Kiran Chandra Tea Estate when they were crossing the tea garden and heading towards the forest. First the calf got stuck in the wires which had current flowing in them. Later mother who came to rescue also got trapped and electrocuted. Villagers informed the forest department which have reached the spot and investigating the matter. Incident took place last night.